I'd like to begin this week's update by saying my heart goes out to the people of Aurora, Colorado. The event that transpired there last Thursday is absolutely horrible; I wish those injured a safe road to recovery, and I'm sorry for those who have lost friends and loved ones. Your regularly scheduled blog post will continue from here. 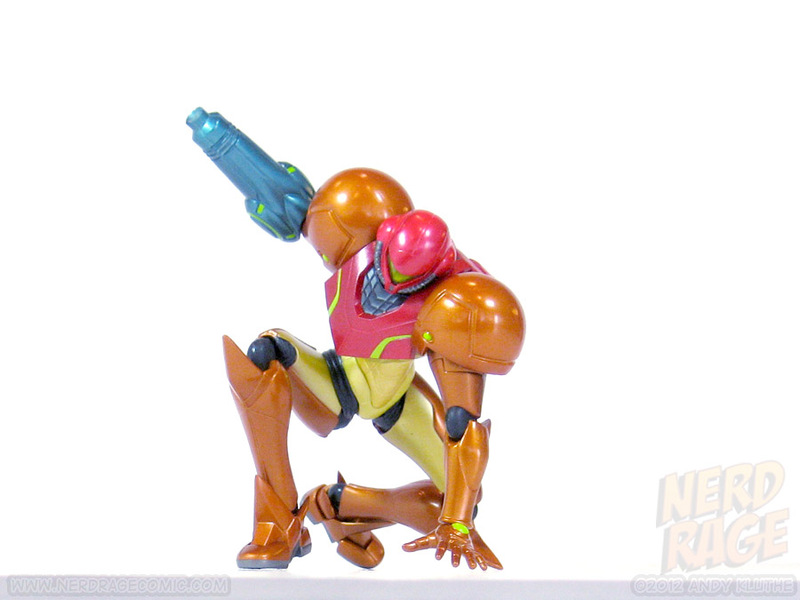 Skip to the bottom for a review of Figma Samus Aran. 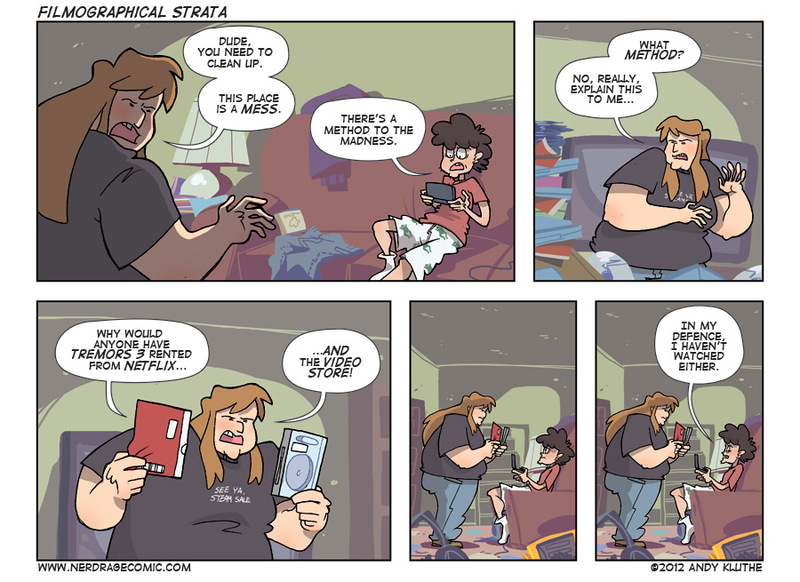 Gabe Newell discusses plan to support Linux "because Windows 8 is a catastrophe". If Peter Jackson has his way, The Hobbit could become three movies instead of two. This should be a controversial decision, considering The Hobbit is the shortest and simplest book, yet is somehow being made into two movies. Have you ever turned on your TV and wished someone would reboot The Munsters in a way that could be described as dark, gritty, or edgy? No? Well Bryan Fuller doesn't care as he moves forward with his 'reboot' that has seemingly-nothing to do with the original Munsters. 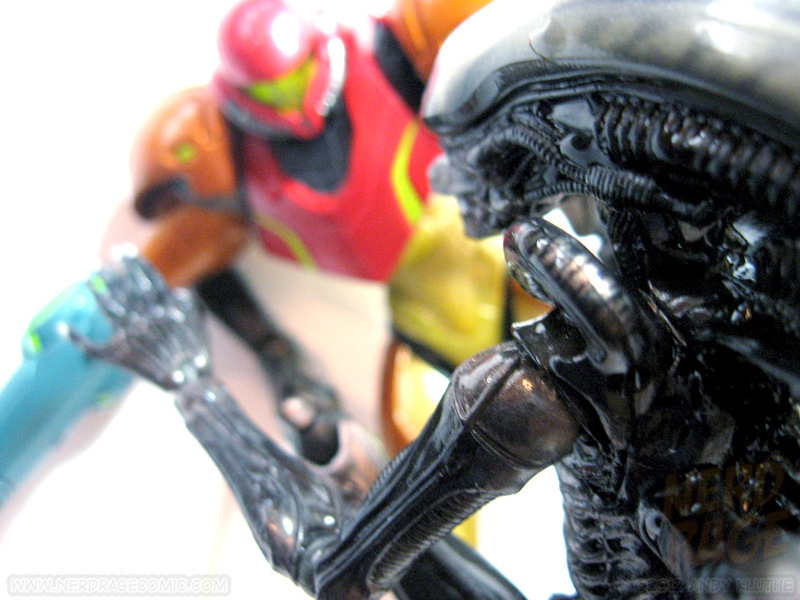 It's no secret that I'm a huge Metroid fan. 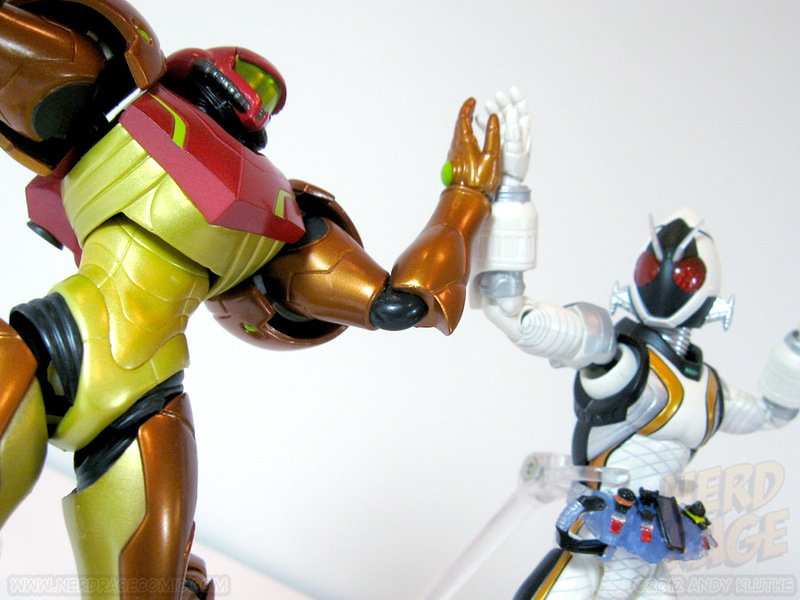 It's also no secret that I have a lot of highly-articulated Japanese action figures cluttering my shelves. 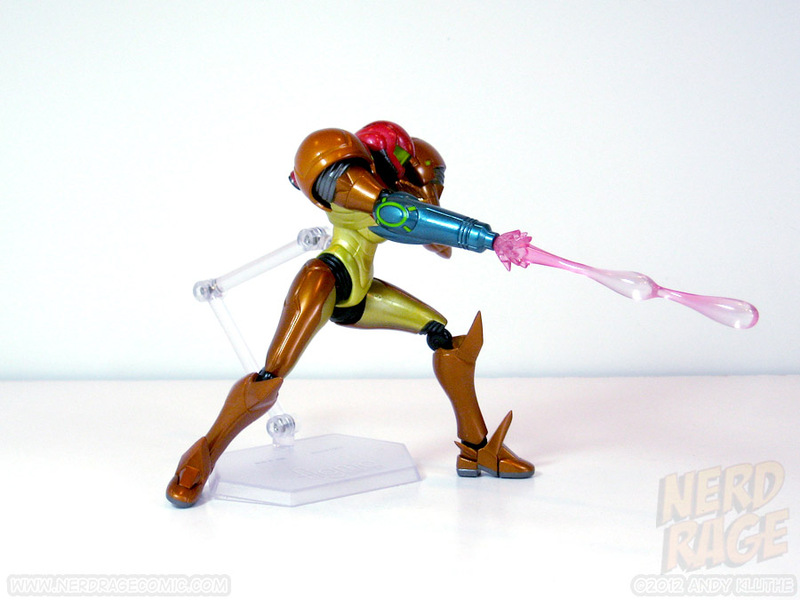 A plastic rendition of Samus has long been a dream for me and many other Metroid fans, and Nintendo is unsually stingy with their merchandising licenses. 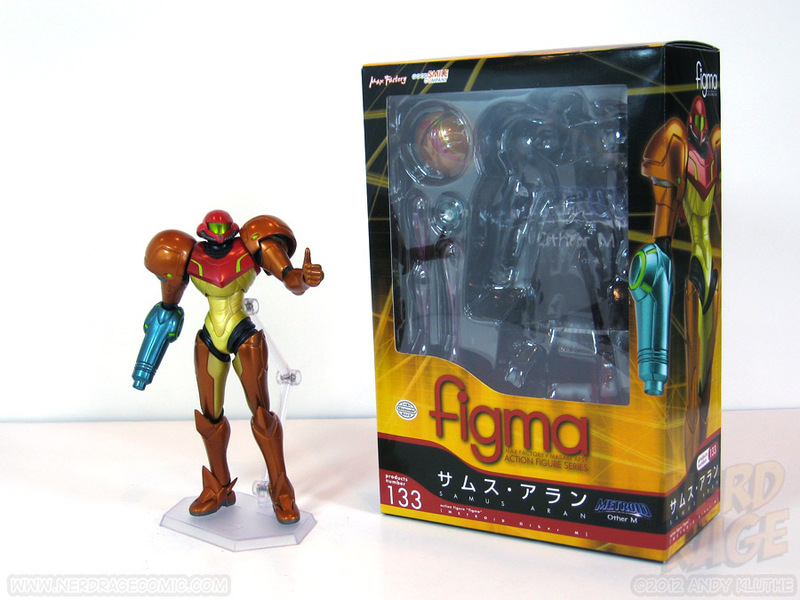 Through some stroke of luck, Max Factory/Goodsmile has finally answered that call with Figma Samus Aran. 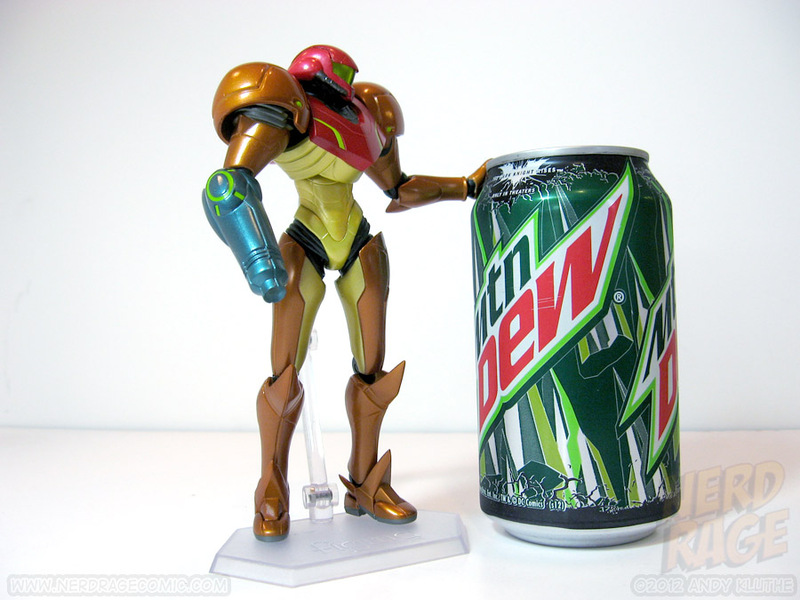 You'll notice right away that they've opted for her most recent appearance, which means you'll have to deal with the Metroid: Other M suit. 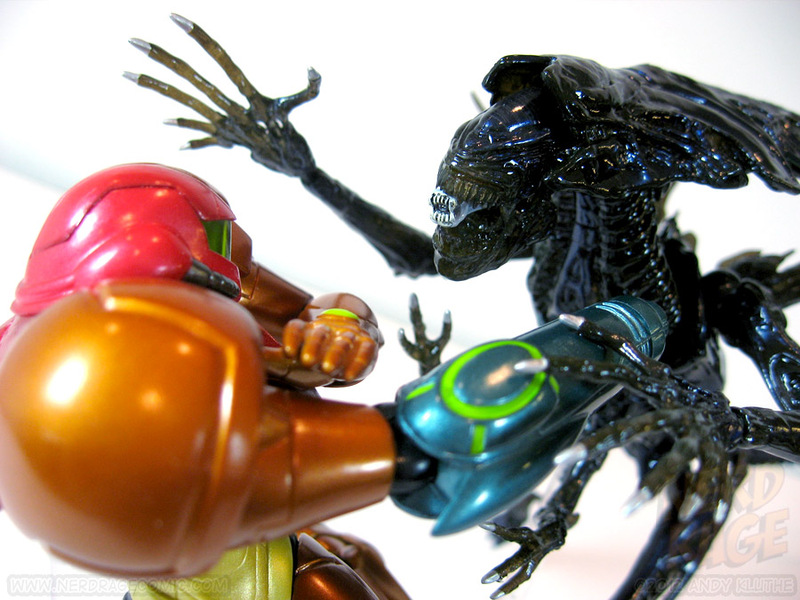 Chances are you can tolerate this if you've been waiting for a good Samus figure. I'm one of the 10 people in the world who didn't hate Other M, so this was a non-issue for me. 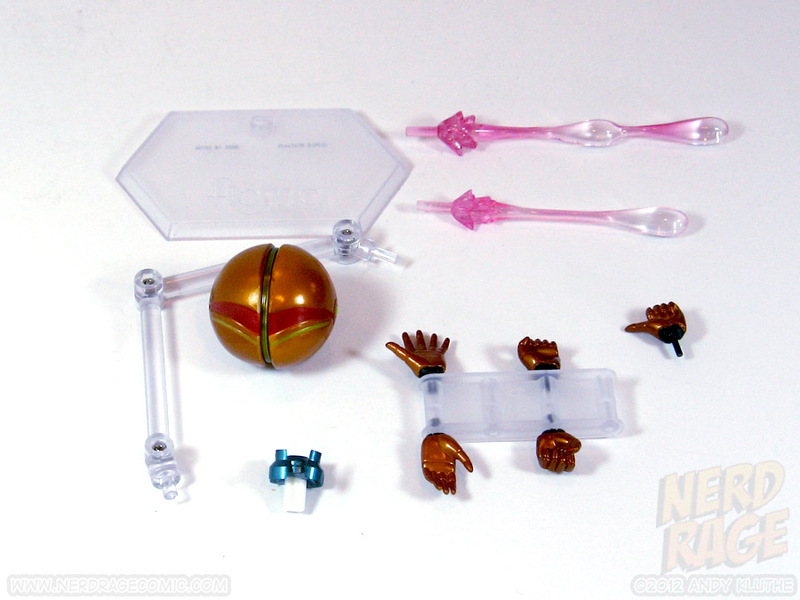 Samus comes with five left hands (spread-finger open palm, a closed-finger open palm, a fist, a slightly-open fist, and a thumbs up), the alternate open missile tip for her arm cannon, two blast effects (single shot and double shot), morph ball form, and a clear Figma stand. The stand has screws that can be tightened/loosened. 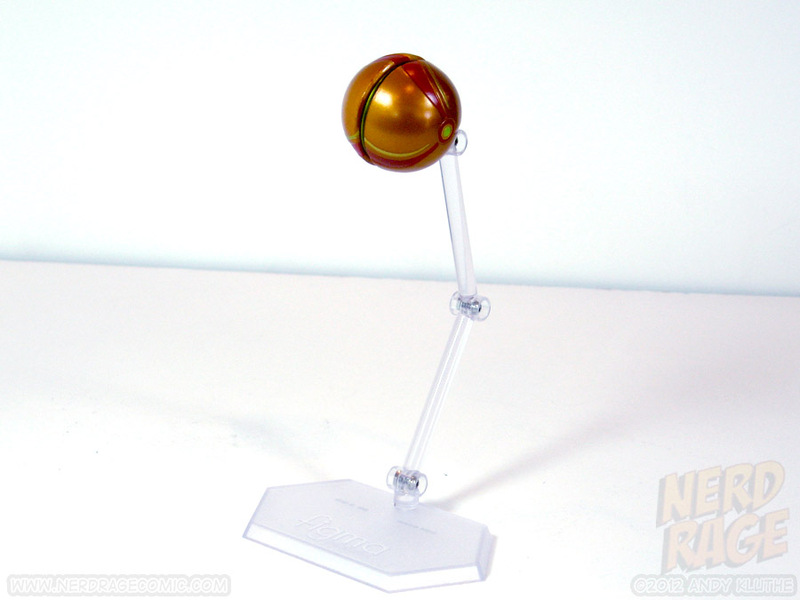 Samus and the morph ball both have a hole that the stand pegs into. Not pictured is a Figma accessories baggie, which allows you to -- you guessed it -- baggie your accessories. This is a very articulated figure. You can get her into all the quintessential poses and then some. The shoulders seem to be ball-jointed independently of the upper arms, so you get a full range of motion there. I think the head is a double ball joint, but the shape of the helmet doesn't lend well to looking up or down. Torso articulation is limited to the one chest joint, but it should be adequate (outside of attempting a fetal position). Elbows and knees are single-jointed but sculpting and joint placement gives them full range. 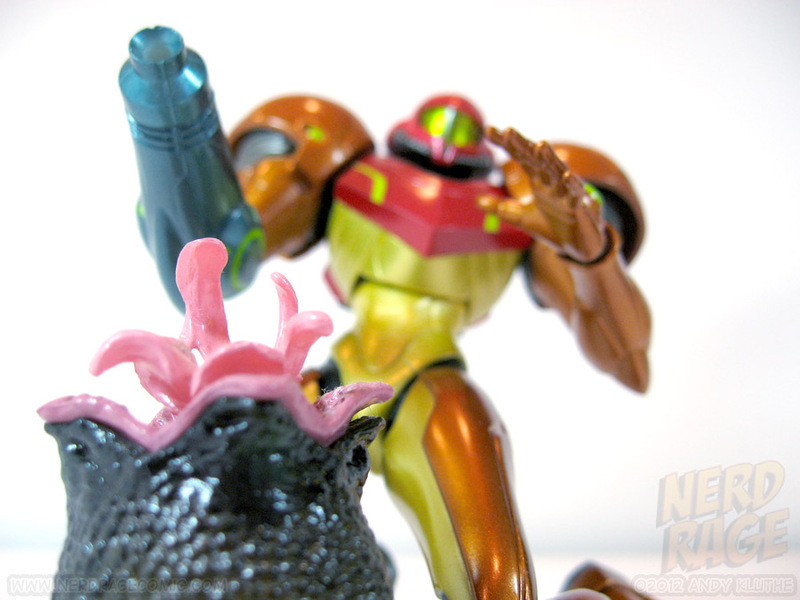 The ball joint on the hips is partially camouflaged by rubber pieces that emulate the dark, ribbed material on Samus's suit. 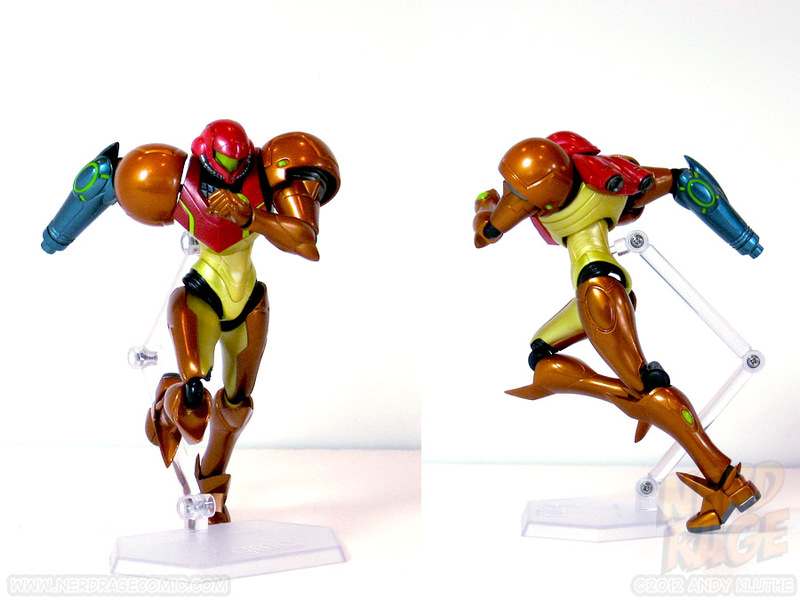 Samus's ankles are composed of two joints that give side-to-side rocker motion and her feet each include a joint for the toes. The metallic paint job fits her look nicely. The paint details, like the green lighting, are applied cleanly and without slop. No, there is no face behind the visor. 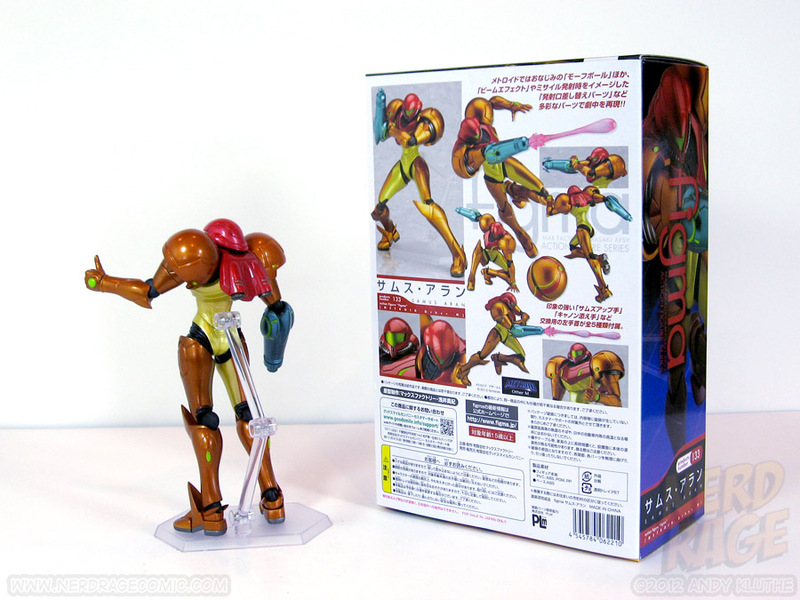 Samus is surprisingly tall and balances well for a character with broad shoulders, small feet, and no diecast. Although most of the poses here could have been achieved without a stand, the fact she was standing on warped foamboard for the photo shoot made it hard. 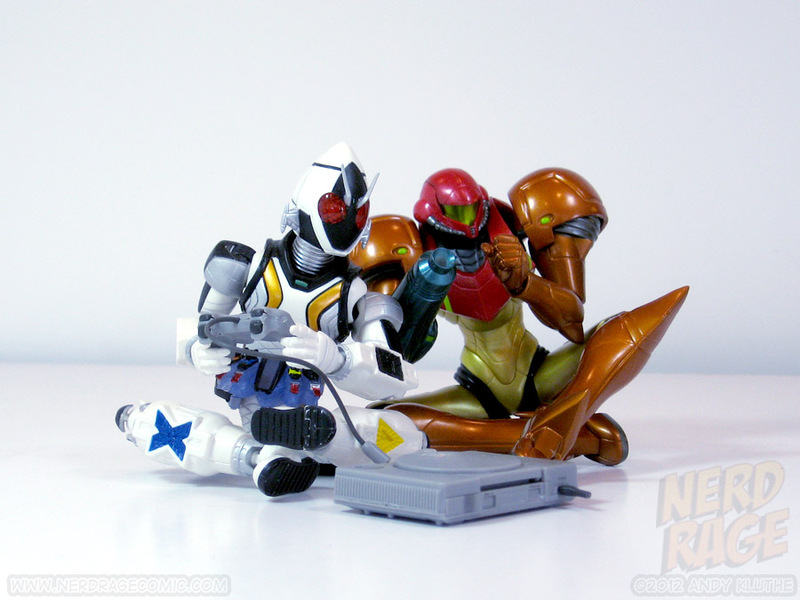 I personally don't like to leave figures posed without stands anyway, in the event they take a spill. 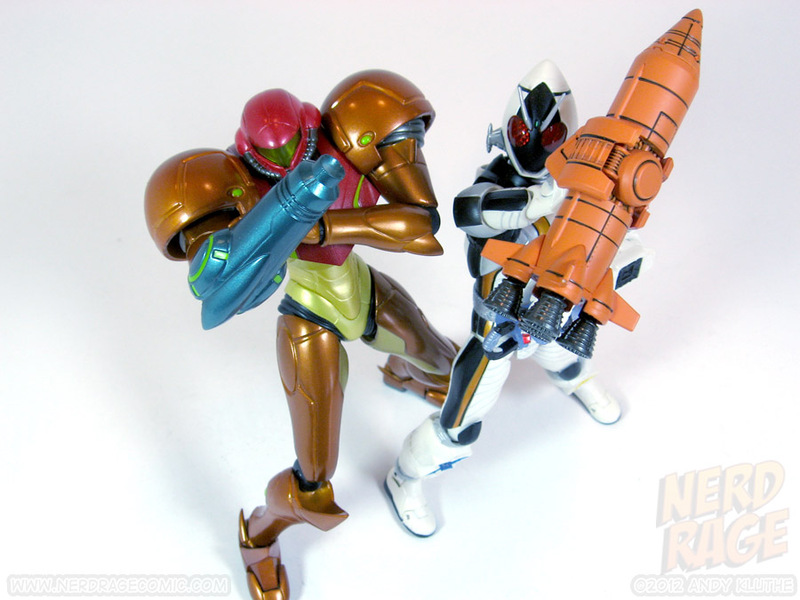 Of note, while Samus does come packed with the open-tip missile mode for her gun, she does not come with any missiles. A repaint of this figure in the Gravity Suit (or other color scheme) would be all-too-easy, which leads me to believe it's possible we'll see at least one variation with compatible accesories. Overall, I'm very impressed. 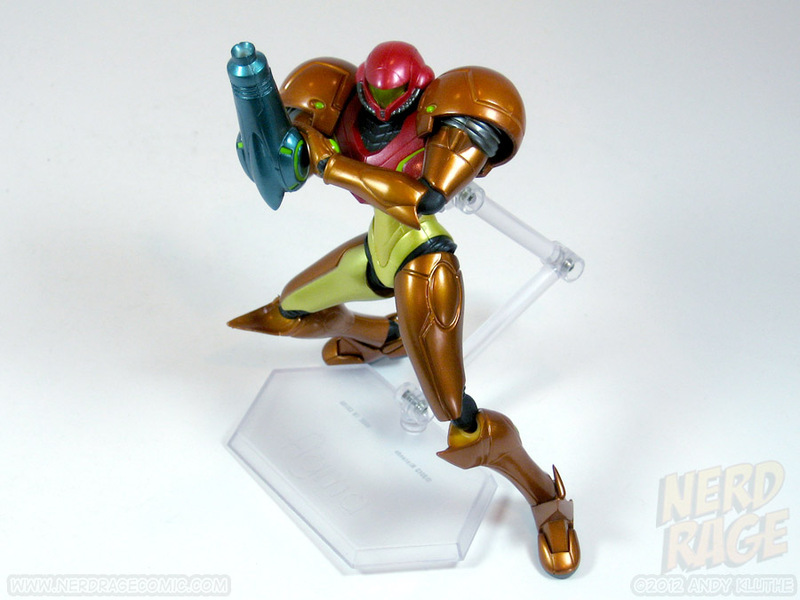 Samus is one of my favorite characters ever and I'm glad to see her finally get a figure. 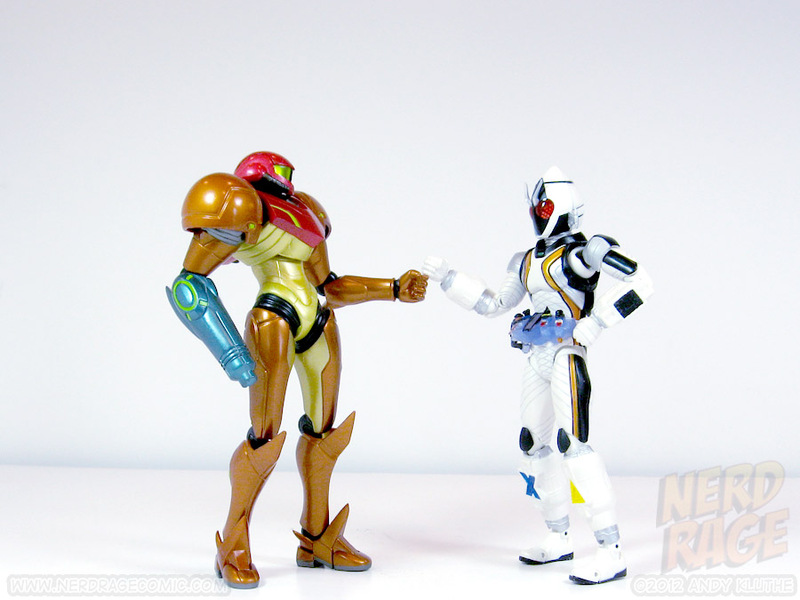 Nintendo can be stingy with their merchandising licenses, so it's miraculous this happened at all. She will be a little pricey for those uninitiated into the world of collector-based figures, but if you can snag her from a site like Amiami (which is where I ordered mine) you'll at least get a discount.